Love Makes A Family: Happy 2nd Birthday! 2 years ago today these cuties were born, forever changing the lives of all who love them, myself included. I have an overwhelming sense of pride that I was given the opportunity to be the woman that helped bring them into the world. 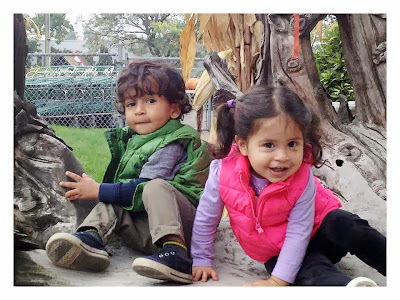 Happy 2nd Birthday Gustavo and Milena! Love you lots and lots! What an amazing journey you've been on. Such a gift to you and to all of us who got to witness it as well. A very Happy Birthday to the two amazing children you loved in to this world. Thank you for your gift of sharing your journey. A quick family update....and some photos. Their Bun, in My Oven. My Surrogacy Journey! Surrogacy journey to the center of the Birth! A baby is born (two months ago)! I'm pregnant, but it's not mine! First photo of the baby! It's Baby Bakin', and I helped! Half Timing. Half Luck. All Their Baby. I'm Not A Flipping Robot! Question #1 What Exactly Do You Do For Circle Surrogacy?